Paint Our World is a humanitarian project dedicated to making a positive difference to the lives of underserved children. We work to emotionally empower children who have been through trauma – this includes child sexual abuse and becoming orphaned. Our aim is to give them times that are fun, that are essentially what childhoods ought to be about. In our spaces, we work with the children in subtly therapeutic ways. In the process we hope to equip them with a better chance of becoming happy, stable adults leading purposeful lives. We provide child-friendly, fun, imaginative spaces for the children by designing classes using tested, child sensitised art based activities. Our expressive art therapies are subtle, fun methods to teach the children safety, trust, care and the like. As we have measured, this mitigates the emotional stress commonly found in the lives of the children and in so doing translates into better self esteem and focus and facilitates the development of key skills. Our initiative involves young people and professionals to run the lessons, This model has proved to be a rewarding experience both for the professionals and younsters involved and for the children. We have pan-India presence and work in Delhi, kolkata, Hyderabad and Banglaore. 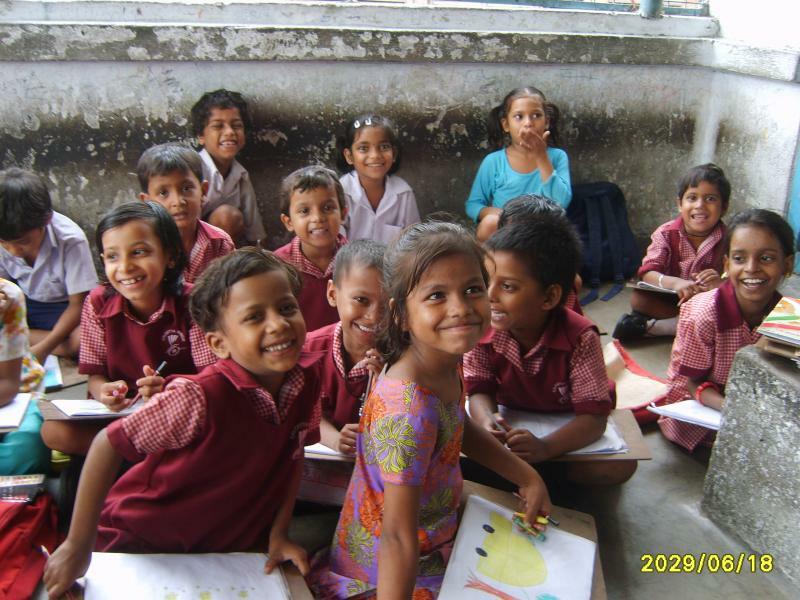 In Kolkata, POW began by working with children in Sonagachi – the city’s red light district. Our current groups include children rescued from a life of sleeping rough in the city’s railway stations. POW’s workshops are an avenue to bring imagination and purpose into the lives of these children who live in unimaginably difficult circumstances. We use expressive art as a tool to encourage the children to express themselves and their worlds in their own ways. Accordingly, our approach is not instructive but rather it is one that gently encourages self expression. The kids have more fun this way, they look forward to the classes and it is most heartening to see their confidence and self esteem grow in the process.We believe that every child deserves utmost love and care but sadly there are still millions of children who do not receive this. At POW, our most important objective is that all the children on our projects feel loved and cared for. It is our objective to mitigate the difficulties of the children’s lives by creating a space for them where they can be just children – laugh, play, have fun and learn in the process and empoweringly overcome the trauma their childhoods were previously subjected to. Santa came down from Lapland bearing presents for the children! 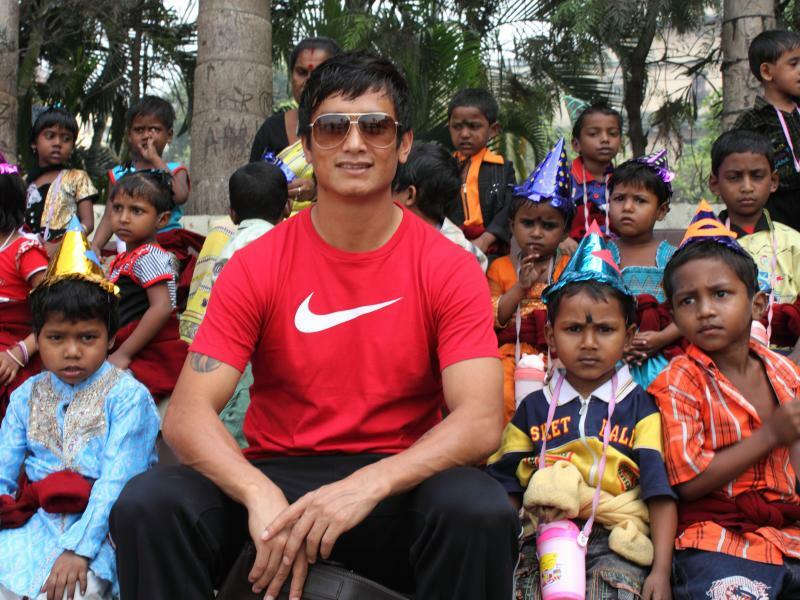 Bhaichung Bhutia, ex-captain of the Indian Football Team joins the Paint Our World Christmas party. He is a keen supporter of the project. 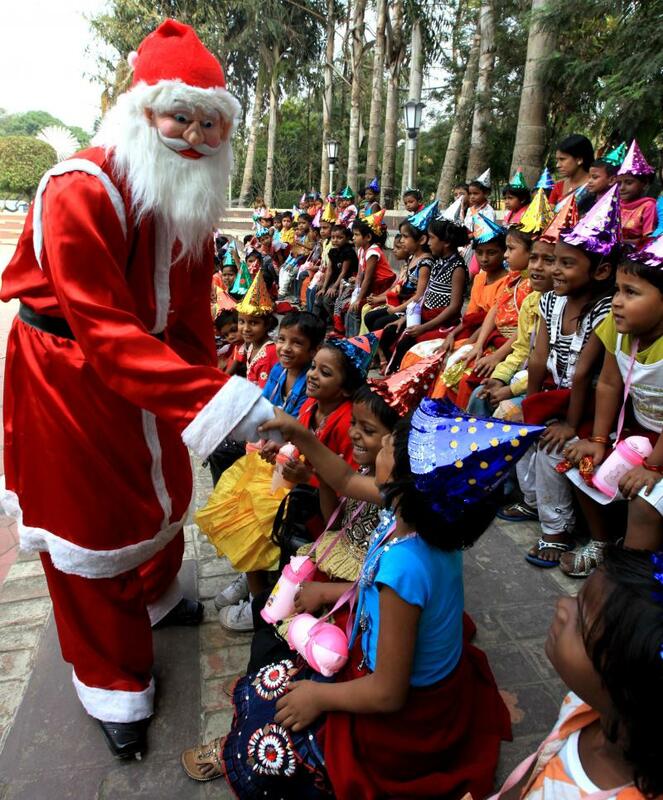 "It was wonderful interacting with the children. I love being part of the POW family. 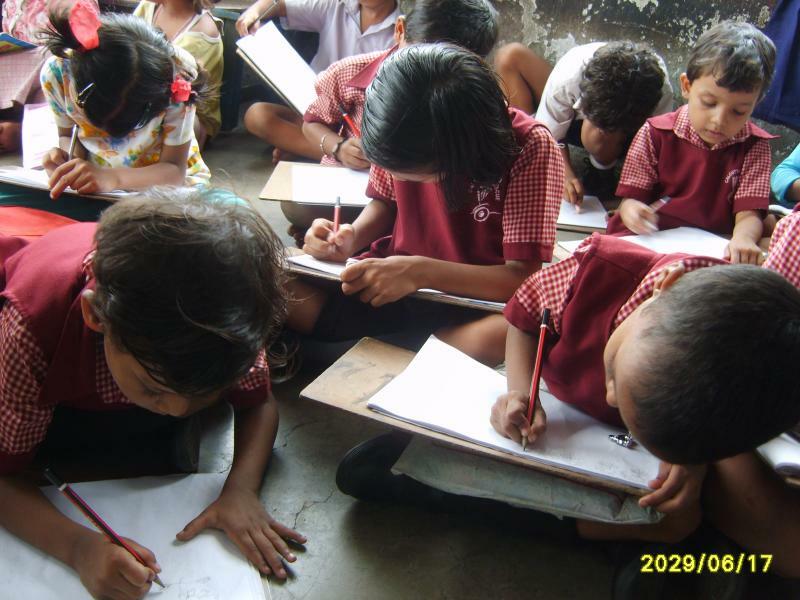 I think it's a great project that brings happiness into the lives of underserved children." Bhaichung Bhutia.